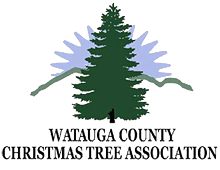 Watauga County Christmas Tree Association members grow top-quality Fraser Fir Christmas Trees for both the retail and wholesale markets. Watauga County, North Carolina is home to “The Choose and Cut Capital,” housing the friendliest and most picturesque North Carolina Choose and Cut Christmas Tree Farms. Visit the North Carolina High Country of Watauga County – home to Boone, Blowing Rock, Valle Crucis, Seven Devils, and Beech Mountain. With endless restaurant options and unique shopping experiences (including Dan’l Boone Inn and the original Mast General Store), there’s always something to please every visitor. While you’re here, be sure to visit Tweetsie Railroad, Grandfather Mountain, Appalachian State University, Appalachian Ski Mountain, and the layers of views offered along the Blue Ridge Parkway. For an up-to-date listing of Watauga County North Carolina Christmas Trees available, or for more information, please contact Susanne at 828-264-3061 or E-Mail Us. Click on a photo to see it larger.